Dot and Dash and their friends Big, Tall and Small are ready to play with their toys – but nobody wants to share. Dot does not want to share the ball. Dash does not want to share the truck. And when Dash and Small try to play with Teddy at the same time, everyone needs a time out! 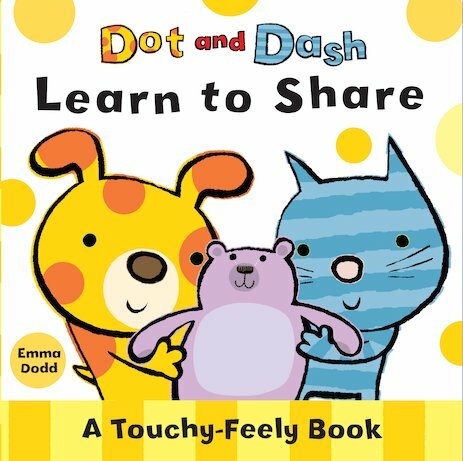 With a simple story and touchy-feely patches throughout, this chunky board book explores familiar toddler issues in a humorous and reassuring way.